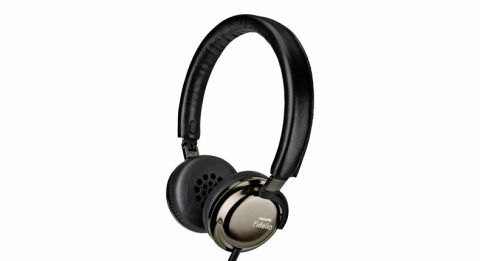 Philips Fidelio F1 review | What Hi-Fi? They wear the ‘Fidelio’ badge with pride, and so they should. The range has become a well-established sub-brand since its introduction in 2010, with an ever-growing catalogue of wireless speakers and soundbars, not to mention a run of five star headphones, to its name. Sitting under the 2014 Award-winning Fidelio M1MKII, the F1s come with a weight of expectation on their shoulders. Unlike some of its family members, they don’t have Bluetooth or noise-cancelling functionality to worry about. The F1s are all about straight up sound. Play Wycliffe Gordon’s St. Louis Blues and the Fidelios sweep you off your feet with sparkly detail, crispness and meticulous stereo imaging. As trumpets, trombones and drums take their place in the mix, each slips into place in the airy soundstage. The Philips’ buttery smooth nature and neutral tonality make them very easy to listen to with all manner of music. Pink Floyd’s Hey You demands thrust and drive, and the F1s embrace both the guitars and drums with decent weight. They offer good extension to cymbals up top and drumbeats down low, but in general, bass notes feel baggy – lacking tautness – which takes away from our enjoyment of any song with fulsome bass presence. We’re left wanting dynamically too, the F1s a few fluctuations short of being revealing, and not hugely effective when drums build to Floyd's iconic electric riff. Unsurprisingly, the Fidelios resemble their on-ear peers – just in a more slimline package. The perfectly round ear cups, which fold flat and collapse inwards, are more compact with less trimmings, while the memory foam pads tuck neatly inside. Given a couple of wears, they mould nicely around your ears for good comfort and isolation. We can only hope the spongy pads would stand the test of time. The skinny aluminium headband is only thinly covered in soft synthetic leather, but is more cushioning than its appearance lets on. A single-button in-line remote sits discreetly on the removable cable for picking up calls with a single press too. Fidelio headphones have a reputation to uphold – albeit one slightly dented by the noise-cancelling NC1s. The F1s regain our favour, though. They don’t set any standards at this price, but are beautifully crisp, precise performers and great for longer listens.